Yes, it has a hit counter. If you're wondering how they pulled it off, then the answer is apparently not that someone at Disney had an old Geocities template laying around. 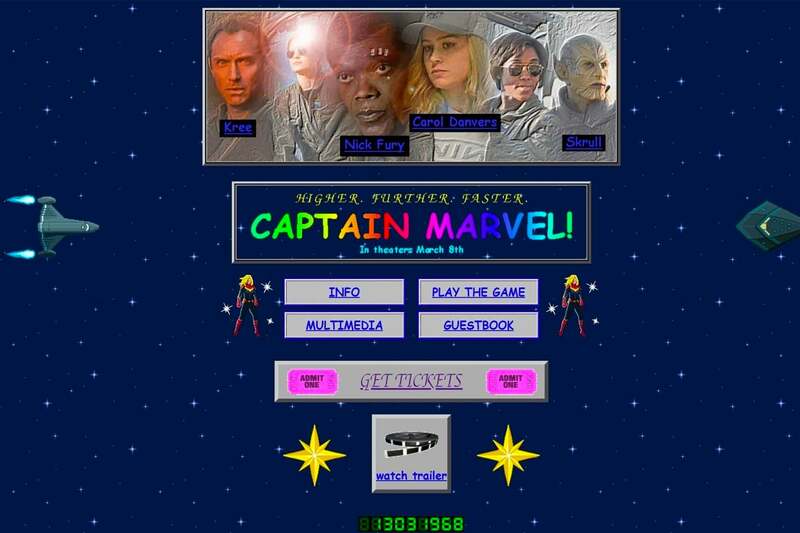 In a tweet, Marvel software engineer Lori Lombert said "We built this in FrontPage and host it Angelfire." We can only say, complimentarily, that it looks like that's what they used.